This cost-of-illness analysis, based on information from 1101 patients in Switzerland, is part of a Europe-wide cost-of-illness study in multiple sclerosis (MS). The objective was to analyze the costs and quality of life (QOL) related to the level of disease severity and progression. Patients registered with the Swiss MS patient organization were asked to participate in a mail survey and 44% responded. The questionnaire asked for details on the disease (type of disease, relapses, level of functional disability), information on all medical and non-medical resource consumption, informal care and work capacity (sick leave and early retirement). In addition, patients were asked about their current QOL (measured as utility) and the level of fatigue. The mean age of respondents was 53 years, and 21% were 65 years or older. Almost one-quarter of patients in the sample (23%) had severe disease (Expanded Disability Status Scale [EDSS] score ≥7), while 36% had moderate disease (EDSS score 4–6.5) and 38% had mild disease (EDSS score 0–3). The median EDSS score was 5.0, with a mean of 4.5. Mean utility was 0.53 (range, 0 = death to 1 = full health), while mean fatigue was rated as 5.4 (range, 1 = not tired to 10 = extremely tired). Utility and fatigue were worse for patients with a recent relapse. Costs and utility are highly correlated with disease severity. Workforce participation decreases from greater than 80% in early disease to less than 10% in the very late stages, while total costs increase more than fivefold between an EDSS score of 0–1 and an EDSS of 7, and by more than 40% from an EDSS score of 7 to worse states. Most cost types increase steadily until patients reach an EDSS score of 7, after which there is a sharp increase due to home care, home services and informal care. The mean annual cost per patient in the sample (65.000 Swiss francs, € 42.000) corresponds to costs for a patient at the median EDSS score of 5. Utility decreases from 0.89 to 0.1 as the disease becomes severe, but the loss compared to the age- and gender-matched general population can be observed at all levels of the disease (∼0.1 at an EDSS score of 2 to ∼0.3 at an EDSS score of 5-6), leading to an estimated annual loss of 0.3 quality-adjusted life-years (QALY) per patient in the sample. 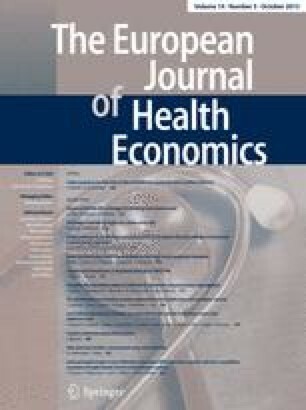 Relapses for patients with an EDSS score <5 were associated with a utility loss of 0.08 and an incremental cost of 5500 Swiss francs (€ 3.500) during the quarter in which they occurred. Health-care costs are to a large extent covered by insurances, and a substantial amount of services such as home care and home help are available to patients with severe disease. These services represent approximately 15% of total societal costs and are largely covered, resulting in almost 30% of total costs to different payers. Despite this, a large amount of costs falls on families providing care, in particular for patients with severe disease.